My 13 Cents: No Fee Chase Gift Cards = free spending! No Fee Chase Gift Cards = free spending! UPDATE: Deal is now DEAD. Chase no longer sells these gift cards. There are fees associated with gift cards. For example, you can buy a $200 visa gift from staples, but it will cost you a $6.95. So you're losing money when you buy the card. Once you buy the card how do you turn it into cash? If you buy $3000 worth of gift cards and you only have $500 a month of expenses you could use the gift card on, then it's going to take you 6 months to spend all the gift cards. Not worth it. Right now there is a way to get around these two problems. Chase Gift Cards. You can "temporarily" buy Chase Visa Gift cards with NO FEE and free shipping. They say temporarily so I'm not sure how long this will last...it was already been around for about 2 months. Now, how do you turn it back into cash once you buy these gift cards? Well, these are DEBIT cards and come with a pin (you can also change the pin when you activate the card). Because it is a debit card and has a pin, you can load the entire balance without paying a fee onto a BLUEBIRD card. You can only do this at a WALMART to avoid paying any fee, so it has to be convenient for you to go to Walmart to make this worth it. Once the money is transfered is to your Bluebird account you can use the money just like a checking account to pay bills (including credit card bills), pay your mortgage or rent, pay taxes, anything! You can ONLY purchase these gift cards with a CHASE issued credit card. Apply for one (or more) if you don't have one. You can easily reach the min. send to get the bonuses. Some good cards are Ink bold or plus, Chase Sapphire, United Explorer, Marriott, British airways, Freedom, and others. The most you can purchase in a 30 day period is $2600 per Chase credit card. So if you have 2 Chase cards you could purchase a total of $5200 ($2600 per card) every 30 days. You can load a max of $1000 a day and $5000 a month at Walmart to your Bluebird account. Get a bluebird account and card for FREE at bluebird.com (it will take several days for you to get the card in the mail). 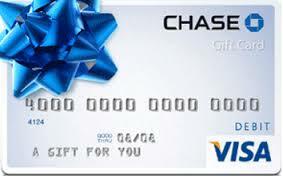 Purchase the debit gift cards with the Chase credit card of your choice. Call to activate your gift card and write down pin, or create your own pin number (the automated system will ask you if you want to change it). Bring your Bluebird and your debit gift cards to Walmart and tell any Cashier (doesn't have to be the one at the customer service desk or money center) that you want to load your Bluebird card. They will often take your bluebird card and swipe it and then ask how much you want to load. You will be prompted to provide a pin number. If you have multiple cards, it's easiest to have the cashier treat each load as separate transactions. Remember, the most you can load at Walmart for the day is $1000. If the casher doesn't know how to do this transaction, tell them to hit "action 70". Now the money is liquidated and you can use the money on your bluebird account to pay bills or transfer into another account for free! As always, credit cards are not for everyone. You must pay off your cards every month and not pay any interest for this to work for you. Check out my previous posts about credit cards. Some suppliers can also provide you with various gift card presentation products that you can sell along with your gift cards.